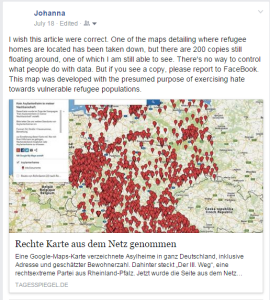 In July 2015, PEGIDA posted a link to a GoogleMap. The map was littered with the red balloons GoogleMaps uses to denote location. Each balloon denoted the site of a home for refugees or asylum seekers. 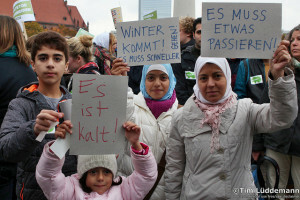 Lutz Bachmann had already encouraged his followers to camp out in front of a home for asylum seekers in Freital, close to where he lives, in Saxony. According to the Independent (UK), up to 1200 people took part in protests in front of the home in Freital in early July, many of them drunk. Every couple of days, there’s a new article in my social media feed counting the number of racist attacks on people and buildings that are motivated by the right-wing. 350. 400. 490. I have no doubt that the numbers will continue to rise, especially with maps like this floating around that include precise locations and number of residents living within the homes. You can crowd source an election, funding for a laser razor, or hate. Through the representation of racist positions and their mobilization, which are effective at generating public attention, the already reactionary discourse about asylum in Saxony is being pushed farther towards the right. To that end, the social climate – among other things – is being influenced in a way that legitimizes violence (for instance against asylum-seekers, their homes and political opponents). In terms of content, the “arguments” of Neonazis and “normal citizens” were so similar that they could be mixed up. This shows, once again, very clearly that racist and misanthropic attitudes extend far beyond the group of Neonazis and are widespread in large parts of society. The permanent connections made between criminality and refugees is exemplary in this case. All of these conclusions are based on lists of demonstrations and events, dated and categorized, to argue for correlation between political demonstrations, racist acts and the anti-racist activism (at least in Leipzig) which followed. 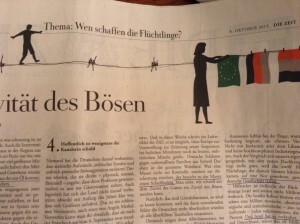 This data is taken from a collection of documents they have titled “Dossier Flucht und Asyl in Sachsen” (Flight and Asylum Dossier in Sachsen), which is viewable here. Right-wing movements are successful because their argumentation is banal. They don’t have to be visionaries; rather, they can repeat old platitudes and/or apply them to new victims. Their presence also is effective at shaping public space, just like any large citizen movement. 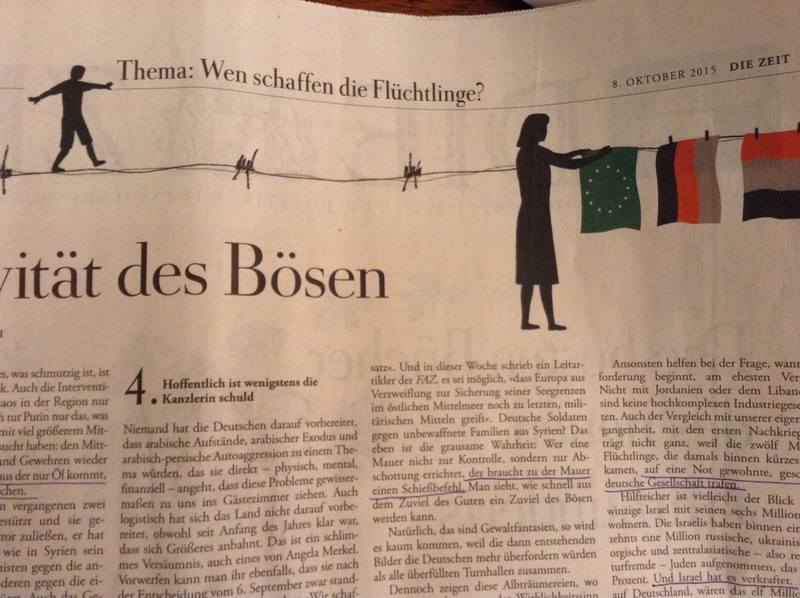 And yet, the Böll Foundation at the end of this article offers suggestions for activists who wish to push back against this rightward movement in the public sphere. Their suggestions are also not visionary, but rather what the Germans would call fester Bestandteil of grassroots organizing: find allies, talk with – not just about – refugees; use the media to your advantage, prepare for the worst, and talk with your community. Use your data for good.